A few weeks ago, I had a free Monday, and realized it had been a while since I’d explored Charlottesville. There were a few spots I’d been wanting to hit and hadn’t found a free weekend day for, so I hopped in my car and headed out 64 toward Afton, Virginia. This pretty area is just West of Charlottesville and is packed with wineries, distilleries, cideries, and breweries, making it a popular destination on Charlottesville day drips. As I drove down Route 151, one of the main roads you take if you’re winery adventuring, I noticed a new vineyard I hadn’t seen before. Valley Road Vineyards has been open for about a year—dang has it been this long since I’ve been out this way? CEO and co-founder Stan Joynes actually lives here in Richmond and became interested in Virginia wine when he and his wife began spending more and more time at a weekend home in Wintergreen. They visited area wineries and saw potential in the industry, so when the opportunity to purchase a farm right on Route 151 popped up, he jumped at it. As the winery got up and running, the owners worked closely with King Family Vineyards and King’s winemaker Mathew Finot is making their wines. The first vines were planted in 2016 and while they are maturing, Valley Road Vineyards wines are all made with locally sourced grapes. They expect to launch their first vintages made with their own grapes next year. On my visit there were six wines available for tasting. Of the whites, I particularly enjoyed the 2015 Chardonnay. Made from 100 percent Chardonnay grapes, it is lightly oaked, making for a well-balanced white with aromas of lemon cream pie and flavors of apples and baking spices. My other favorite was the 2015 Meritage. Made in Bordeaux style, the blend of Merlot, Cabernet Franc, Cabernet Sauvignon, and Petit Verdot was full bodied with rich and tart blackberry notes as well as a smooth espresso and cocoa finish. Not on the tasting but available for purchase was the 2016 Sparkling Rose, Joie. Of course I had to take a bottle of the blend that featured Cabernet Franc, Merlot, Tannat, Petit Verdot and Cabernet Sauvignon home with me. The tasting room is made from a refurbished barn that was part of the old farm. You’ll notice the beautiful rustic tasting bar—that’s made from the old roof! Along with the main tasting room, which is spacious with lots of natural light, there’s a second building called the Library where you’re also welcome to hang and that also serves as a private event space. The winery is adding a second-level deck that will add even more room to enjoy the stunning area views. Want to grab a glass or bottle and relax? You can choose from a variety of artisan cheeses to build your own cheese plate along with other snacks, including pies from Charlottesville’s The Pie Chest. You are also welcome to bring your own food—it’s always nice to find a winery that offers both options. Valley Road Vineyards is also one of very few wineries I’ve visited where you are not just allowed, but encouraged to take a walk through the vineyard. If you go through the large gate at the upper left of the property, then walk to the far left of the vines, you’ll see a long hill. You’re welcome to hike on up and stop at the small deck halfway or go all the way to the top. I hear the top has some nice stones for lounging and picnicking—on my visit I was alone and it was around 86 degrees and super humid, so I only made it to the cute little deck. If you’re planning a visit, check the winery’s events page for food trucks, bands, and vineyard tours that happen regularly. Start your day at Valley Road, which is about an hour and twenty minutes from Richmond then backtrack, stopping next by Pollak Vineyards, which is only six minutes away. The wines are superb and the tasting room is peaceful with a pretty pond in the background. Finish your day with a second round of Mathew Finot’s wines at King Family Vineyards, which is a twelve-minute drive from Pollak. Another scenic winery located on a big open field with the Blueridge mountains in the background, King offers wines for just about any palate. I almost always enjoy the Viognier, the Crosé dry rosé blend, and the Meritage. Fans of dessert wines also shouldn’t miss Seven, a fortified red wine that’s aged in Kentucky bourbon barrels. The name Seven references the 7th Chukker in a polo match. King is also known for hosting polo matches on Sunday afternoons in the summer. If you’d like to try a different route, start your day at Flying Fox Vineyard, an adorable little tasting room an hour and a half from Richmond. You’ll pass Valley Road on your way—wave hello since you’ll be back soon! Along with the wines at Flying Fox, be sure to taste the seasonal vermouths the winery is now making. Next, Afton Mountain Vineyards is a 12-minute drive and offers panoramic views of the Blue Ridge Mountains. In past years I’ve always enjoyed Afton’s Bollicine made in the traditional champagne method, as well as the Festa di Bacco Super Tuscan blend. Up next, 8 minutes away, Veritas Vineyard and Winery is one of the area’s most popular wineries for its rustic-chic tasting room and spacious patio. If you’re short on time this might be the vineyard to skip—not because the wines aren’t delicious, but because the location is so popular, if you hit it on busy Saturday or Sunday, you might have to wait a bit for your tasting. Then, finish your day with Valley Road Vineyards. The nice thing about either of these itineraries is you’re perfectly positioned if you want to grab dinner in Charlottesville on your way home. Or, if you are hungry on your way into wine country stop by Greenwood Gourmet Grocery. It’s located right on Rockfish Gap Turnpike and you’ll drive right by it on your way to the wineries. There’s a full menu of made-to-order sandwiches, snacks, baked goods, cheeses, meats, and all sorts of tasty things. 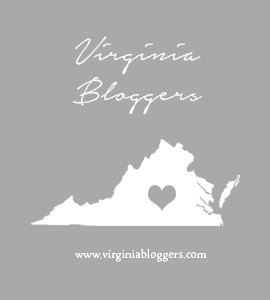 In addition, the shop carries an exquisite selection of Virginia wines and beers as well as fun gift items like Virginia-made bath and body products, candles, and more.